I’ve been continuing my experiments in vegan baking with coconut flour. 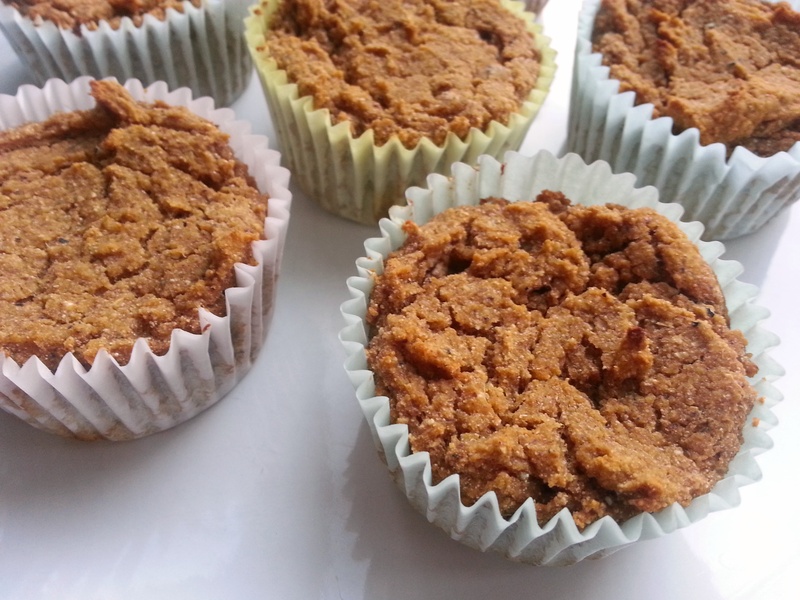 This week, I decided to try a variation on the sweet potato muffins I posted a couple weeks ago. As with the vegan chocolate-orange muffins I made last week, psyllium is the not-so-secret ingredient for holding the muffins together and giving them a nice texture. 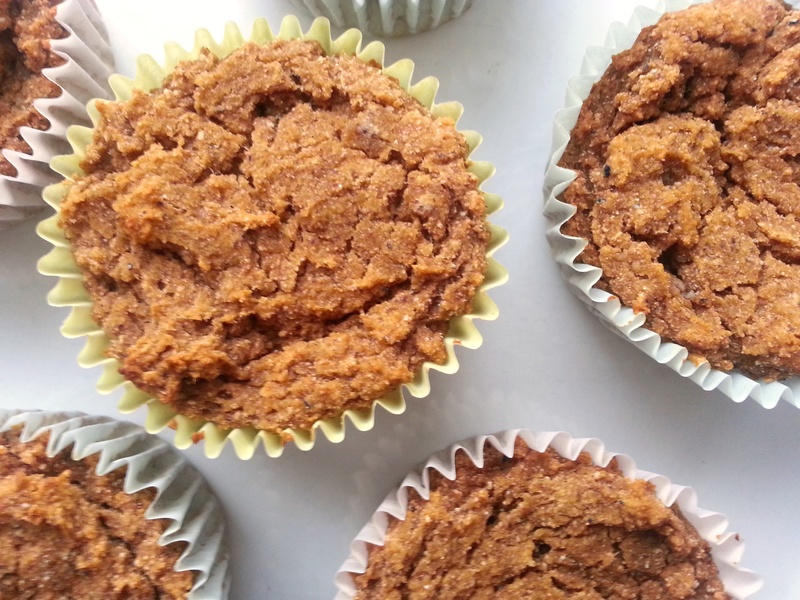 If you like chai, you’ll love these muffins. The cardamom makes the kitchen smell divine while they’re baking, and gives the finished product a lively, distinctive taste. The cooling time is an important part of the baking process. If you eat these muffins warm, you’ll get something that’s more like pudding than a muffin. So don’t, unless you’re into that sort of thing. These muffins puff up nicely in the oven, but the tops flatten as they cool. I haven’t figured out a way to work around this, but fortunately it doesn’t interfere with the awesome taste of these treats. If you can’t find hazelnut or almond flour, or want a cheaper alternative, this post explains how to make your own. Use an electric mixer or blender to combine the sweet potatoes, applesauce, oil, water, ground flaxseeds and psyllium husks until smooth. Let sit for a few minutes. Bake at 350°F for 30 minutes, or until inserted toothpick comes out clean and the top of a muffin springs back when you poke it.